People are now tending to pursue for high quality life not just for food or cloth because of the improvement of living standards. A high quality life may be mostly reflected on an easier living environment. An improved living room, a fancy dinner, or a more convenient transportation, are all the best results of a high quality lifestyle. Honestly speaking, a high quality life can’t be realized without smart tech gadgets especially in today’s modern world. It seems common to have become a trendy to put more and more intelligent electronic devices into use. And the fact lies in that life really has reached to a higher level with these must-have home improvements. 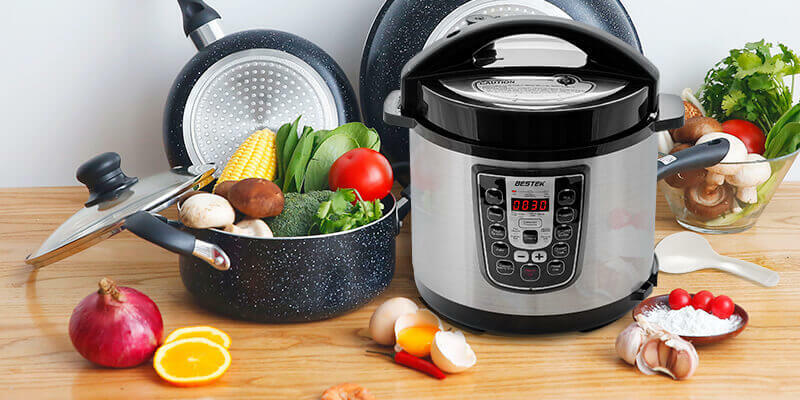 Let’s see what these must-have appliances for a high quality life are. Drinking coffee in the morning or in the afternoon has become an important part of a simple and comfortable lifestyle. Many families and companies have a lounge for employees or guests to enjoy coffee. Coffee is not a way for quenching one’s thirst but for finding delight of life. 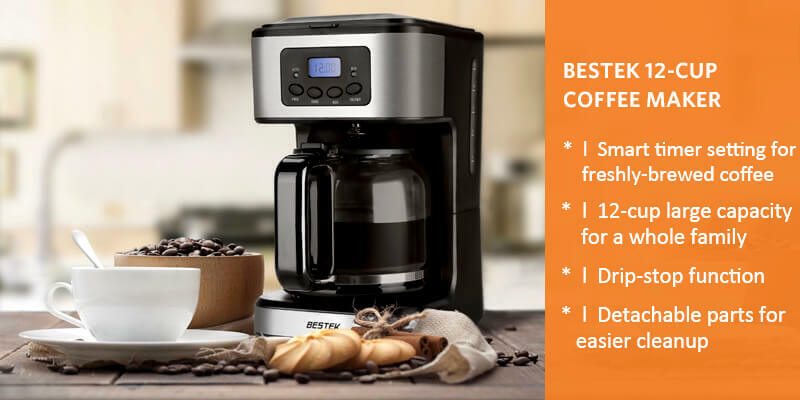 A digital programmable coffee machine is easy to control and having a medium volume coffee maker at home is enough for your family to enjoy a cup of delicious coffee in a tedious afternoon. You can see many beverage shops everywhere. Many people like drinking juice not because juice is tasteful but healthy because most juice is extracted form fruits. 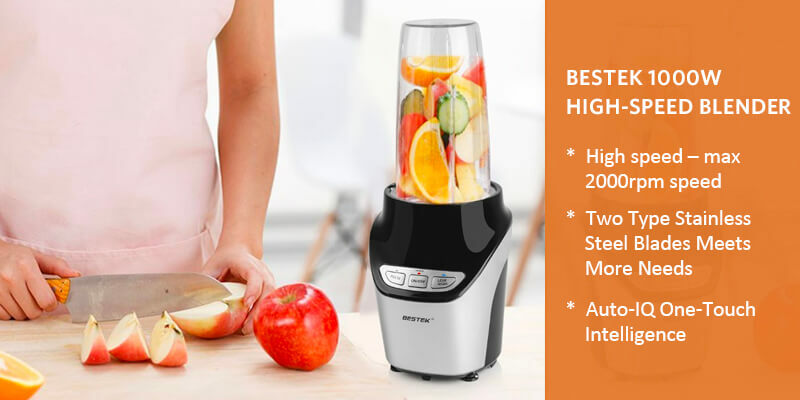 For a family which has kids or elders, a juice blender is rather more necessary as it is difficult for them to digest tough food and take in enough vitamins. Get one household juice blender and you can make healthy fruit juice every day. With one electronic juice blender at home, you don’t need to worry about family health any more. At present, people focus more on a healthy diet. But there are too many industrial foods that have been added additives, pigments or expired. You’ll be more cautious to choose fruit, vegetables and meat when shopping. However, it’s hard to tell whether the food is healthy or not. 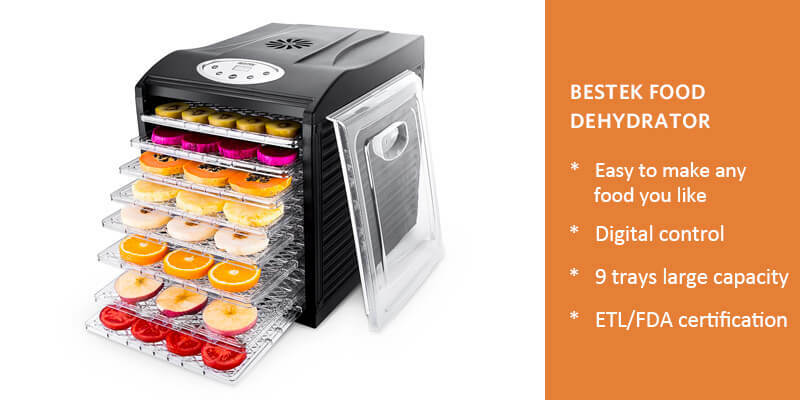 So, why not buying a food dehydrator? You can make delicious and fresh fruit and vegetables at home. If your kids want to eat potato chips or meat pieces, just make it for them in the kitchen, which is easy and healthy. For a coffee lover, it couldn’t be better to also have a thermal coffee carafe. 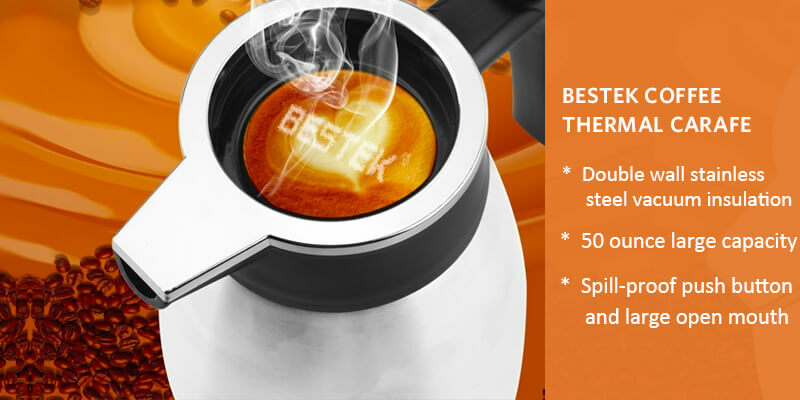 The thermal carafe can keep coffee or other beverages warm or cold so that you can enjoy the drinking anytime you want. If you have friends or guests, you can prepare for coffee before they come and get ready to express your hospitality as a host owner. Doorbell is actually not a novelty in China. The doorbell was decorated on the door and could ring when someone came. 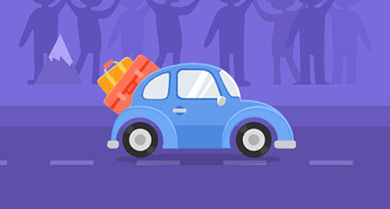 In the past, doorbell was only affordable or necessary for a wealthy or influential family who had a big house, however, these days, doorbells have been upgraded with advanced technology and applicable for any walks of people. 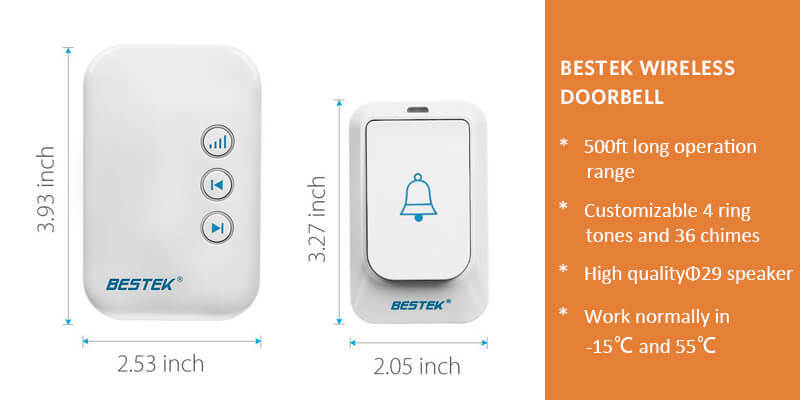 Wireless doorbells now are more intelligent with built-in wireless remote control, long operation range and high quality speaker voice. Don’t worry about missing any important visitor anywhere you’re or disturbing any neighbor. After long time of hardworking or feeling tired, you need to relax your body and release bad mood. Essential oil diffuser is necessary not only because it can help create different occasions to adapt to your different emotions and get your body fully relaxed by sending out fragrance, but it is also a good way to purify the air in the room. Just add several drops of water or essential oils, and you can feel fresh and healthy air into your respiratory. No matter you’re at home or office, an essential oil diffuser is a good way to keep a good healthy mentally and physically. Better life begins with a high quality lifestyle. In current world where technology and information develop so fast, an easier life seems impossible without these tech devices. 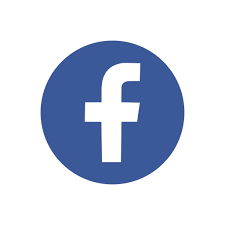 So, as one of modern people, how do you seek for a high quality life? 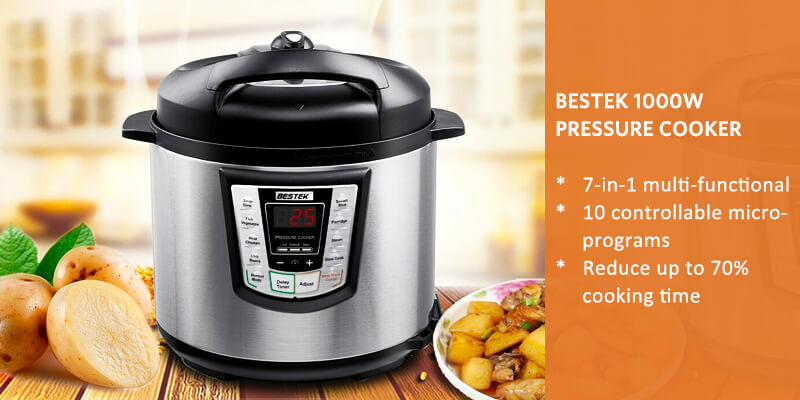 How to Use Electronic Pressure Cooker Pot Properly? Are LED Desk Lights Bad for Eyes?